Our organic Food Box offers you fresh fruits and vegetables for 18 weeks during the growing season. Hi everyone. I want to start by saying THANK YOU for supporting local agriculture. You’re not just buying vegetables. You’re investing in a farm, a family and in a community…and you’re getting to know where your food comes from. I can’t wait to grow food for you this season. What comes with a Food Box membership? Video training for folks who are NOT in the facebook group - you’ll be able to see them too! What kind of food will I get? Bread: Every week there will be one loaf of fresh organic artisan spelt bread with your name on it. Spelt is similar to whole wheat, offering a sweeter, slightly nutty flavour. Vegetables: Over the course of the season we will offer you over 30 kinds of vegetables. This will include lots of the staples: tomatoes, onions, carrots, salad greens and potatoes; some veggies that are less common: kohlrabi, chard, kale and ground cherries; and many vegetables in between. We do not grow cherry tomatoes, cauliflower, broccoli, brussels sprouts, asparagus, parsnip, or corn. Strawberries: Our strawberries produce from June through to October with a break in the hot summer heat, so you can expect berries in more than half of the weekly boxes. But what if I don’t like something? Meet our Swap Box. As you fill your box, you can swap your veggies or bread with those in the Swap Box to bring home more of the food you love and less of the food you don’t. Where & when do I pick up my box? 3711 Hwy 38 on Tuesdays from 3:00pm to 9:00pm. A 50% deposit is due when you register. The balance is due by May 31, 2019. However, you are welcome to pay in full at any time. For those paying with a cheque, post-dated cheques can be dropped off at the farm. Please make cheques out to Josh Suppan. We use these deposits to cover our farm and living expenses in the winter months, so prompt payment is appreciated! 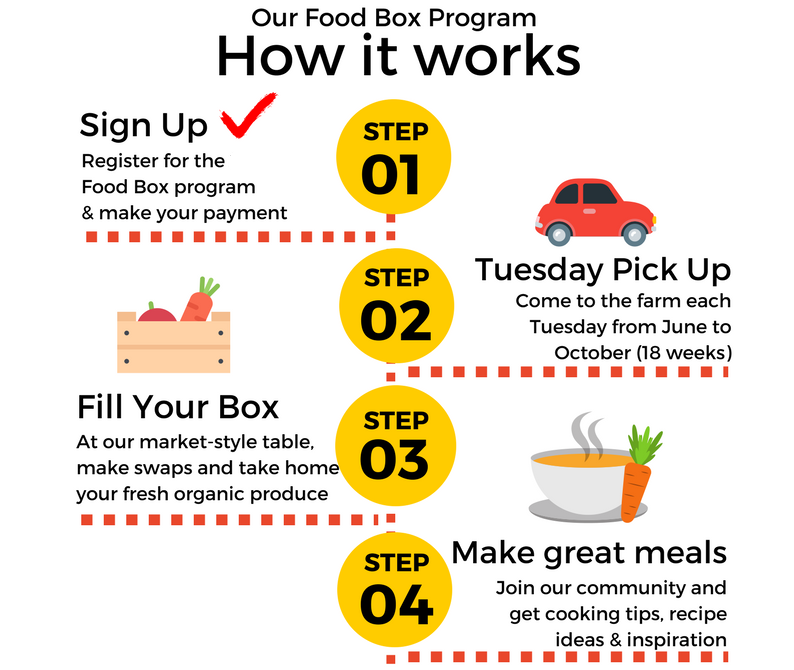 For some, a Food Box can be daunting – each week you take home a box of food and have to figure out what to do with it. 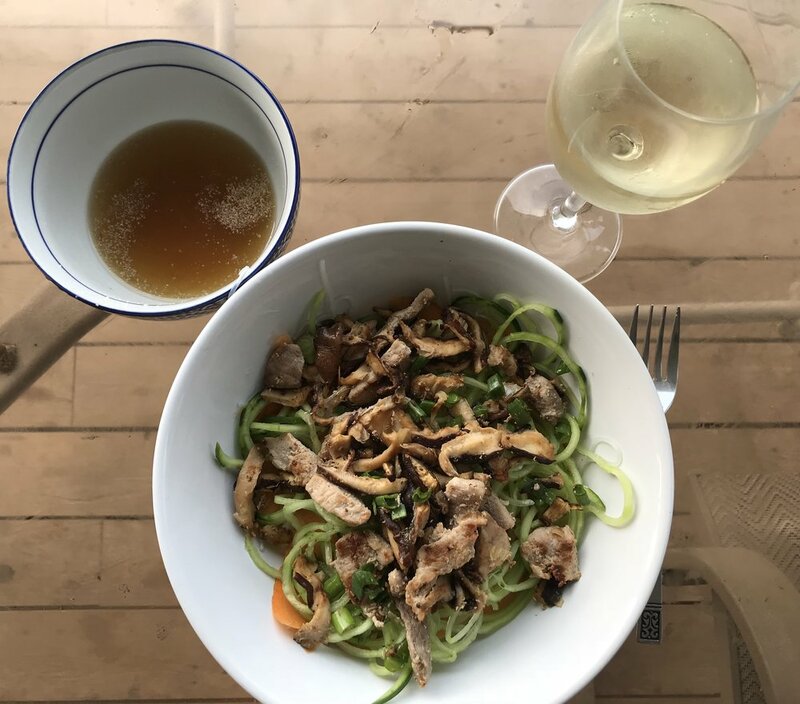 Fat Chance Farmstead is an organic fruit and vegetable farm serving Kingston and South Frontenac.